The first step in an organized job search is to analyze where your skill set will best be utilized. You should review industry trends and ensure you are taking your career in the right direction. Before applying to a job, you need to understand the company’s history, financial stability, product classes, lines of insurance and have awareness of any recent news about them. Contact an Account Executive at General Placement Service to discuss a company you are interested in. We constantly review company news and learn as much as possible about our industry. We may also have inside information that cannot be found otherwise. The links below will help you get started in your quest for information. www.ambest.com – AM Best Company provides news, credit ratings and financial data products and services for the insurance industry. www.insurancejournal.com – Delivers the latest business news for the Property /Casualty insurance industry. 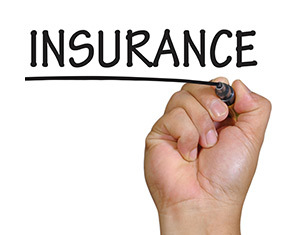 www.nationalunderwriter.com – Provides complete coverage (news and analysis) of the events and issues affecting the property and casualty insurance industry – both commercial and personal lines. www.nationalunderwriter – Provides complete coverage (news and analysis) of the events and issues affecting the life and health insurance industry.